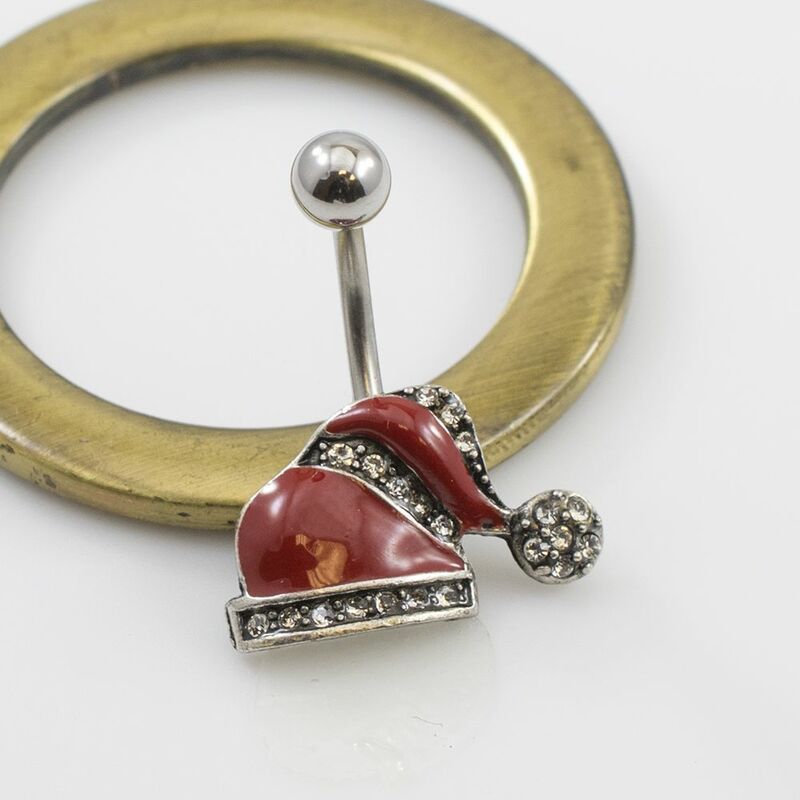 This is a jolly and beautiful Christmas Hat Belly Ring. Decorate your belly ring with a festive and highly detailed piece. This belly ring is perfect for the holidays. This item comes in size 14 gauge with a length of 10 mm - 3/8 of an inch. This item is sold individually. This belly ring is nickel free.